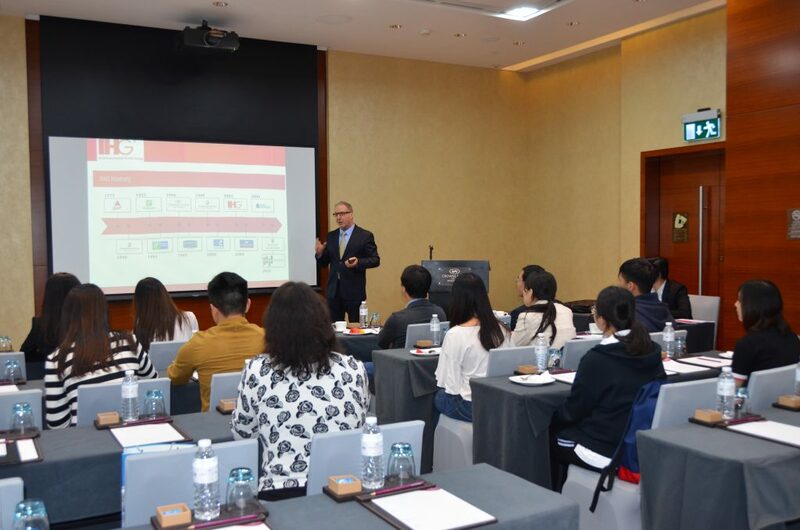 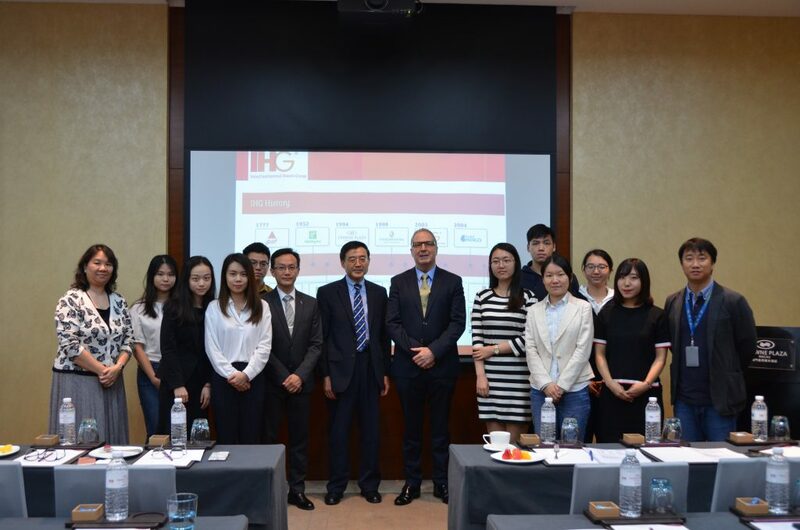 The students were received warmly by Mr. Dominique Berhouet, General Manager of Crowne Plaza Macau, and Mr. Fred Wu, Director of Human Resources. 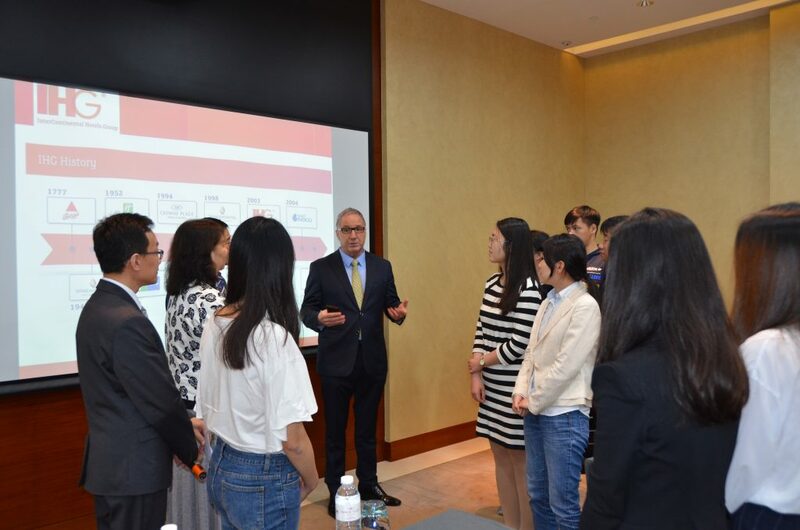 Mr. Berhouet felt pleasure to receive the first group of students from the University of Macau (UM). 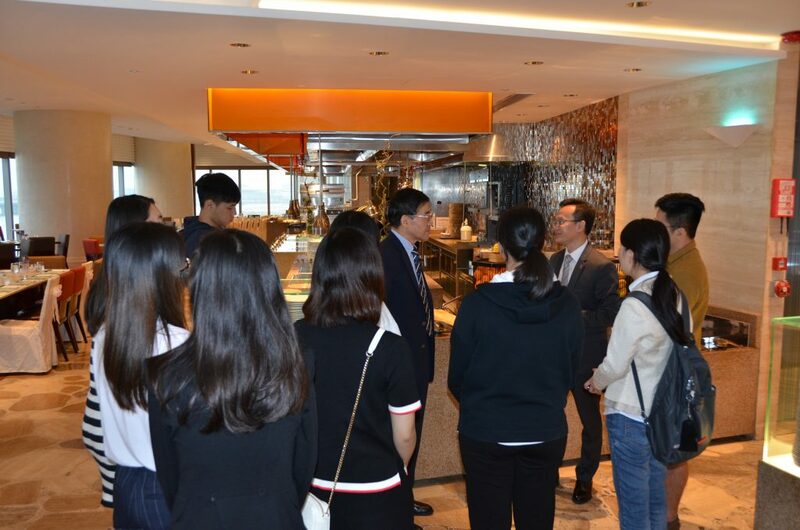 He wished to cultivate more cooperation opportunities with the University and to provide students a learning platform. 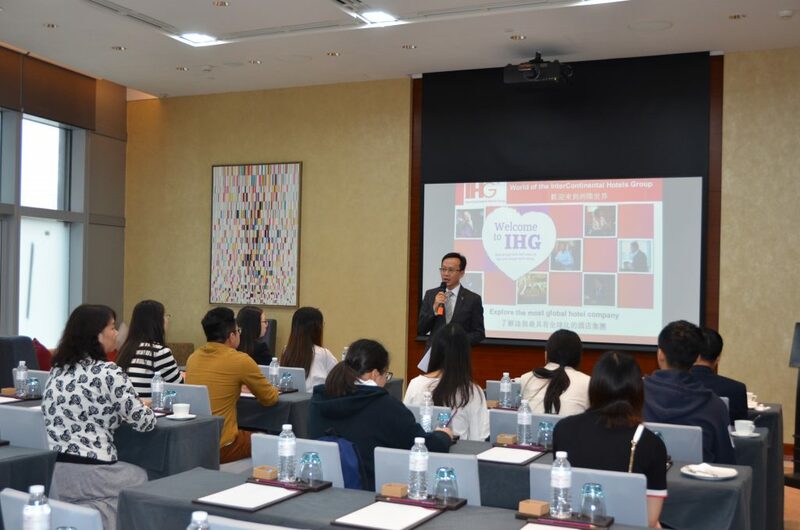 Mr. Fred Wu briefly introduced the history of their corporate and operation and shared tips on recruitment, career development as well as training programs to the participants. 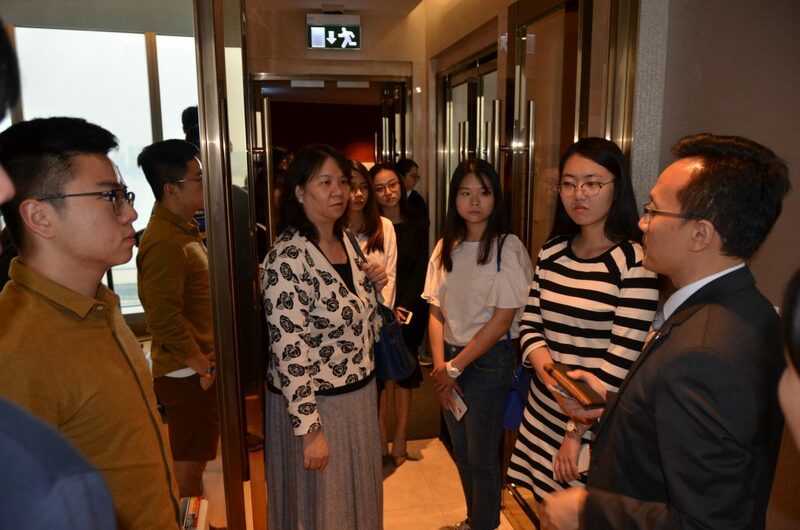 A tour to hotel suite and hotel facilities was arranged after the sharing. 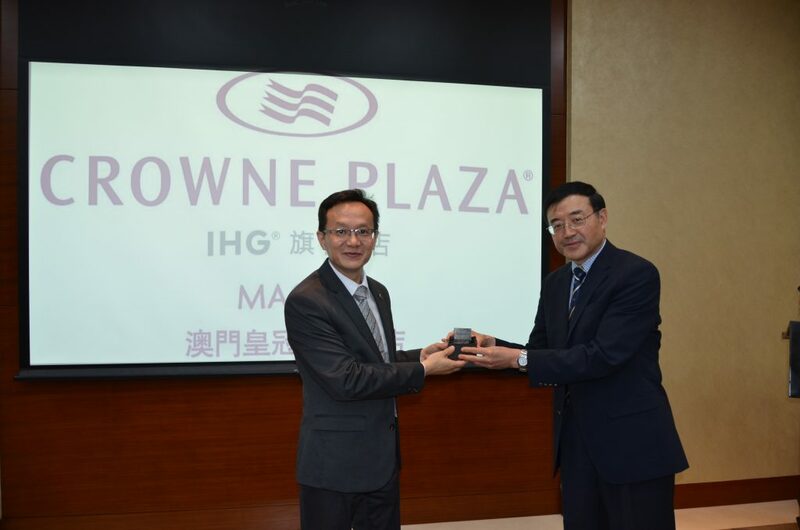 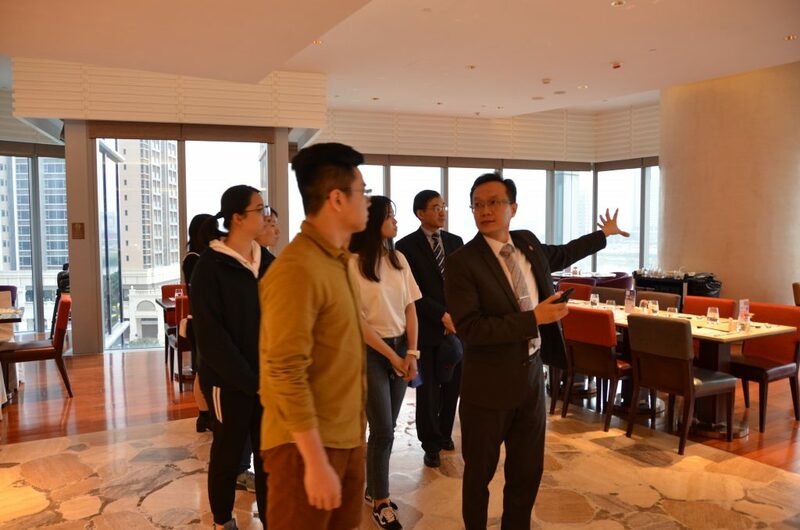 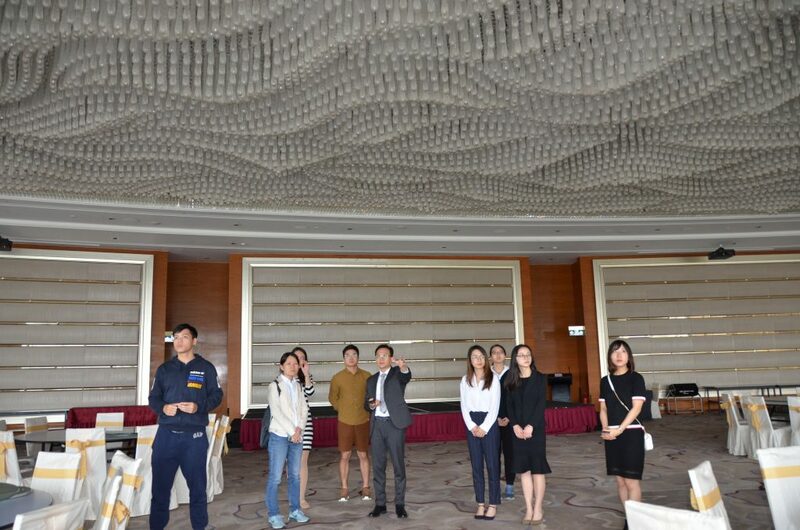 Dr. Peter Yu, Master of CKLC took the opportunity to present a souvenir to the representative of Crowne Plaza Macau and the visit was concluded in a warm and harmonious atmosphere.